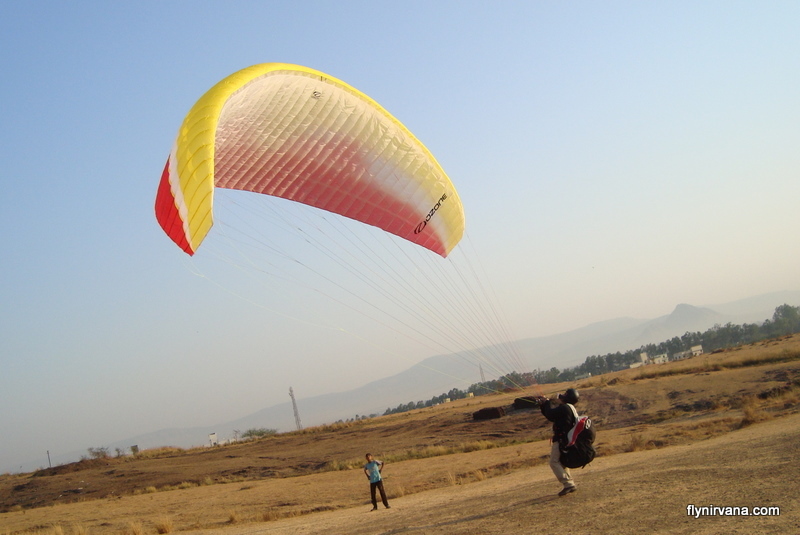 This weekend Nikhil Bhide, unveiled his brand new glider; the Ozone Geo III in the sun colors of yellow, white and red. 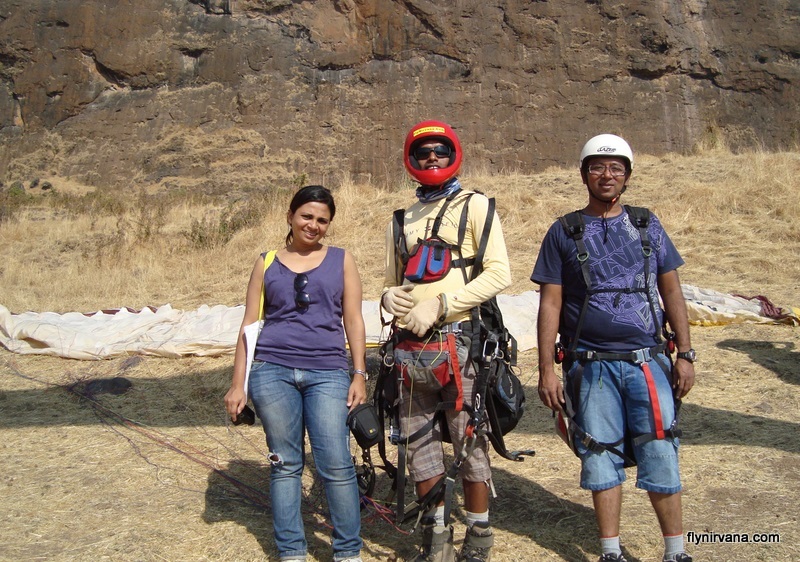 Being Nikhil’s first wing and the first Geo III in Kamshet everyone was excited to see it unfurl. The Geo III possesses the same DHV 1 safety class as the Ozone Mojo 3, but is about 2 kilos lighter thus making it an ideal travel glider without compromising safety. This suited Nikhil perfectly.